From the moment it was announced, excitement has been running high about SBS's newest sageuk drama, “Daebak” (대박, Jackpot, The Royal Gambler). A clever, outside-the-box blend of sageuk and gambling/tazza manhwa, the early buzz about Daebak centered on its star-studded cast (Choi Min-Soo, Jeon Kwang-Ryeol, and Jang Keun-Suk among others), its director Nam Gun (“Mask”), and its writer Kwon Soon-Gyu (“Warrior Baek Dong Soo”). With the first episode now aired and ratings high, it is safe to say the hype is well deserved. PD Nam Gun has choreographed the excellent cast and compelling storyline to perfection. There are no wasted efforts throughout the tightly constructed episode. Each twitch of a character's eye, each note of music, every word of dialogue, feels exactly right, and necessary. With its lush cinematography and vivid colors, one might expect this sort of visual feast to be making up for a lackluster story. But Daebak uses its camera almost as another actor, spying at exactly the right moments on each character. I found myself feeling that I needed to remember each and every second, because everything, even a shaking hand or a downcast look, felt that it might be vitally important to the rest of the series. Where many dramas pad the set-up of their story with plenty of fluff to fill the one-hour time slot, Daebak feels like it was distilled down to its most clever and compelling essence. Even its opening two scenes manage to deftly introduce the viewer to almost every main player, the objective goal, and how the struggle will play out – all in just 6 minutes. 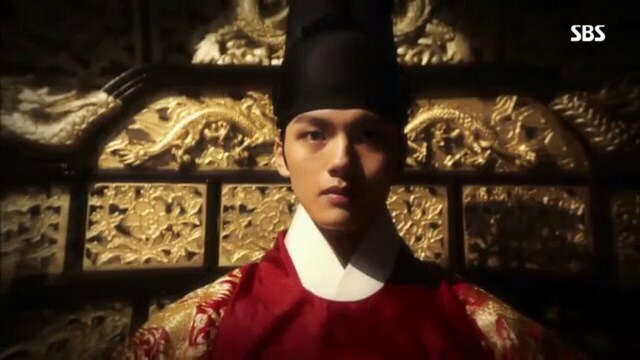 Opening on the throne, the first moments show us first the older King Sukjong (Choi Min-Soo) before fading to the youngest son who would eventually replace him, King Yeongjo (Yeo Jin-Goo). The narration, set to soaring music, tells us that these two seek to protect the throne. The camera moves to show us “the one who seeks to usurp the throne,” Yi In-Jwa (Jeon Kwang-Ryeol), walking calmly through the shadowed and blurred forms of his minions in the midst of a violent, full-scale revolt. The scene then shifts to a snow-covered countryside hut, where Yi In-Jwa is joined by the main protagonist ―“the one who tried to stop him”― Baek Dae-Gil (Jang Keun-Suk) for a game similar to chess. The seemingly simple game of chess becomes a perfect allegory for the complex story. Their discussion of the game at hand, and of each other's opposing strategies, perfectly foretells the real struggles to come. With a few short lines, we understand that Yi In-Jwa is calculating and ruthless and willing to sacrifice every last man toward his ultimate goal. Baek Dae-Gil, on the other hand, wonders what is the point of winning if no one is left at the end. In another mirroring of the story, the leads' respective henchmen begin a ballet-like sword fight as snow softly falls. Their blades slice dangerously close, clanging between Baek and Yi. Seemingly unaffected by the battle raging around them, Baek and Yi stare at each other, unflinching, refusing to lose focus on their ultimate goals. From here, the story flashes 35 years into the past, showing the woman who would one day give birth to both Baek Dae-Gil and Prince Yeoning. We watch Choi Bok-Soon's (Yoon Jin-Seo) daily struggles as a maid in the palace, the heartbreak that her gambling, drinking husband causes her, and we see Yi In-Jwa insert himself into the mix as her potential savior. In offering a way out of her current miserable life, he also entraps her in a position that may prove to be every bit as dangerous. Bok-Soon's husband, the fallen nobleman and gambling addict Baek Man-Geum (Lee Moon-Sik), slowly empties their home of everything of value, selling and gambling away all they own, right down to his very genealogy. In a particularly gorgeous crowd scene, we follow Yi In-Jwa into the gambling house, past the other patrons and a fascinating variety of games being played. As with the earlier sword fight scene, this one, too, seems to hint at the plot. 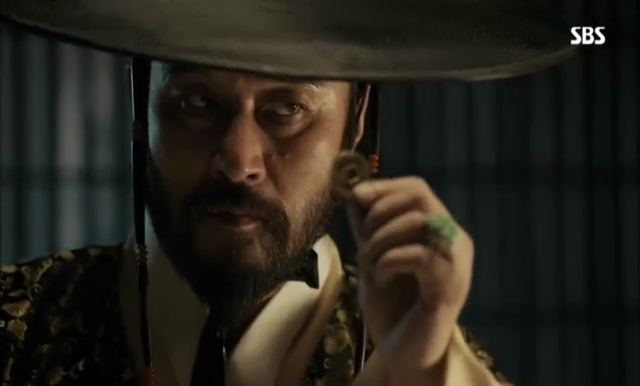 It seems that here in this Joseon, everyone is willing to bet on just about anything. Yi In-Jwa, playing on Bok-Soon's fears and her disappointment with her husband, offers her what seems at first to be a path to safety and comfort. He offers to protect her from the dangers her husband's gambling debts pose, if she will only do a simple thing for him. He instructs her to place a pair of shoes, covered by a lotus leaf, at the top of the stairs of the deposed Queen In-Hyeon's palace. King Sukjong will see her, and she is to capture his attention by looking into his eyes for just three breaths. Indeed, the King's heart is captured. Choi Min-Soo does a superb job of being seemingly dazzled by her, yet still distant. We see just how smitten he is in the following scene, when he instructs one of his artists to draw the palace maid for him. A seemingly minor player, Kim Yi-Soo (Song Jong-Ho), is introduced next during a friendly archery competition with the King. Then it is his turn to shoot - and we see yet again - no scene or character is meaningless in this episode. 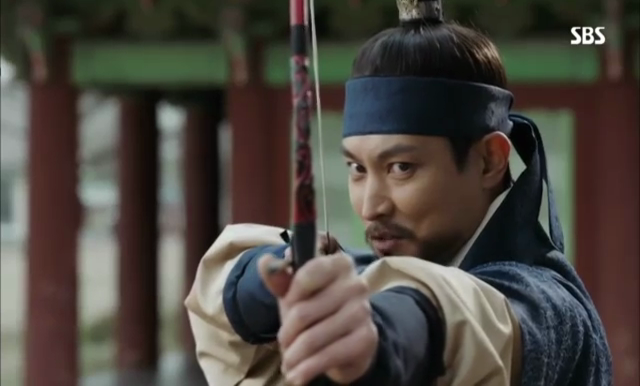 Kim Yi-Soo shakes as he draws his bow, and it seems he aims squarely at the King's chest, imagining himself driving an arrow into Sukjong's heart. We see flashes of Kim Yi-Soo's past, enough to know that he blames Sukjong for the death of his family and enough to know that Yi In-Jwa has masterfully inserted himself into the mix once more. Flashing back to the present, Kim Yi-Soo lets his arrow fly. It thuds dully into the frame of the archery target. He aimed at the target all along and only fantasized of his ultimate desire to kill the King. Following Yi In-Jwa's instructions, he holds in his anger, plays the dutiful noble, and bides his time for the right opportunity. Kim tries to establish an opportunity by relaying information about maid Choi Bok-Soon and her husband to the King, knowing full well that the King will take action. Though it might at first glance seem that Kim and his mentor, Yi In-Jwa, are helping the King gain what he desires, it is only another ruse. Yi is merely using Bok-Soon, installing her in a position close to Sukjong, and setting himself up with one more possible avenue of attack against the King. Once the king is hooked; Kim Yi-Soo helps him set a trap to catch Bok-Soon's husband at the gambling tables. In a scene that ratchets up the tension with every passing moment, the King pretends to be a mere hobbyist with money to burn. He allows Man-Geum to win easily, and then win again. He pours him drinks and continues to feign bad luck. In the last hand, Man-Geum suddenly loses. He begs to try once more - and loses big again. With debtors after him, his life and fortune on the line, he shakes and sweats. We hold our breaths as Baek bets his last pile of money on a single spin of a brass coin. He loses. Lacking anything else of value, he frantically offers up the jade wedding rings that belong to his wife. Sukjong casually replies that maybe if the owner of the rings were offered, he would keep betting. 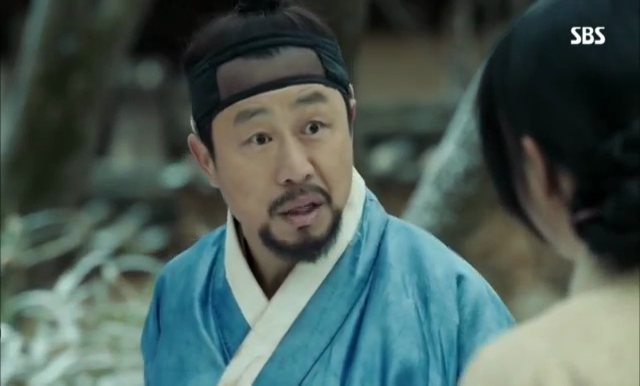 Baek Man-Geum thinks only briefly before chasing after the King to accept the bet. Unbeknownst to him, Bok Soon is watching as her fate unfolds. In the final scene, we see the King suggest one last game and watch as Baek Man-Geum loses the bet, his wife, and everything he values. He sacrificed everything and comes away with nothing, showing us the perils that our main characters face. They may be willing to give it all, but that sacrifice, in itself, doesn't ensure victory. Great recap of the first episode, so clear for those that maybe had missed any detail and can understand it. Can´t wait for the following recaps. Loved your recap Beth! You're definitely correct that this drama doesn't waste one moment trying to fill in time. Every frame is meaningful and gorgeously shot. I love this role that our Prince had chosen, though he looks young he's matured in his acting. Maybe his fellow Koreans will view him in a different light. Thoroughly enjoyed your recap, Eel Beth!Thank you!